Before October’s over, I wanted to get my weight loss post up. I was excited to weigh in a couple of days after we returned from vacation to find that I actually lost 1.5 pounds on our trip. I’m pretty sure they’ve caught back up with me since we’ve been home. I’m still successfully keeping the weight that I lost away, and in excess of my original goal. My goal was 20-24 pounds and I’m staying around 25-26 pounds lost. I knew I wouldn’t log in to MyFitnessPal on vacation and I’ve had a really hard time getting back into it since we’ve been back. I’m sure I’m eating more than the recommended calories, but not enough to gain all my weight back (in the last 2 weeks anyway). About 4 weeks before we left, I made a goal of running 12 times before vacation and I came pretty close – 11 runs. I saved the last one for the day before we left and that was a mistake – there was just WAY too much to do. I don’t know who said it. It’s relevant for many things, but couldn’t help but immediately relate it to losing weight, living a healthy life, etc. 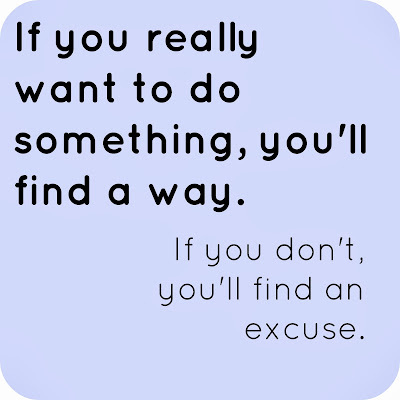 There’s always an excuse. So, in short, I’m still doing okay. I could be doing better. I don’t plan on getting back into the bad habits I had a year ago when I could barely stand to try on clothes or look in the mirror at myself. I’ve talked about it before – I hate winter. It’s no secret. I feel a little sad in the winter. Tired. I don’t like to be cold so I don’t like to leave the house. I’m euphoric in the springtime. So it will take a little extra mmmph to get me up and out and moving, but I know this is what I want for my self, my life, my health. 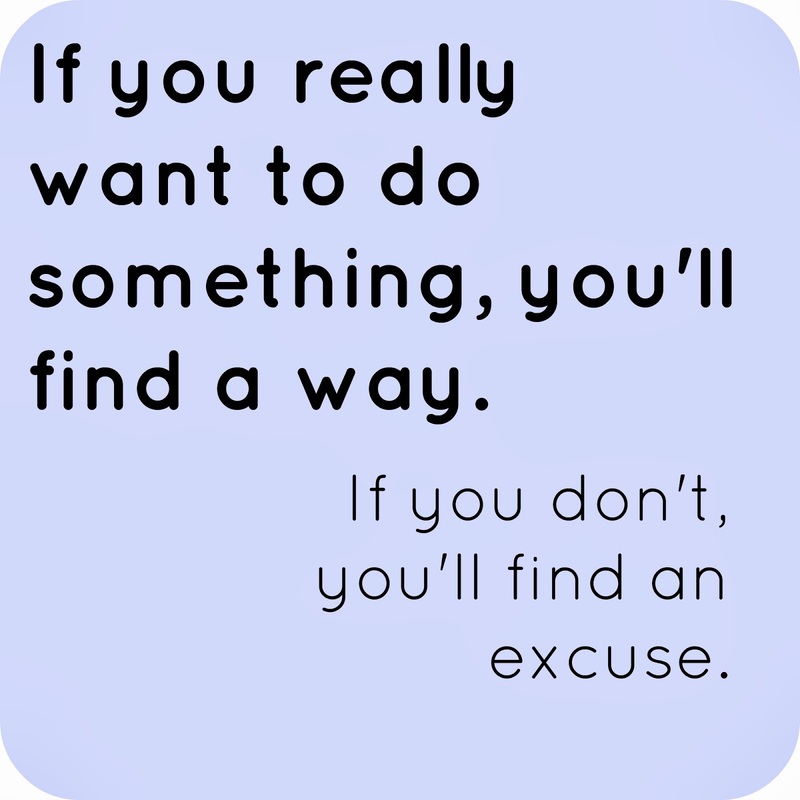 So I have to find a way instead of an excuse. Ah, Day 8 – Friday, October 11, 2013. The last full day of our long-anticipated vacation. We planned to spend our last full day at the Magic Kingdom. We knew ahead of time that it closed at 7pm for Mickey’s Not So Scary Halloween Party and assumed that’d be a good day to end a little earlier so we’d have some time to finish any packing the night before our flight. We got our eviction notice bright and early Friday morning, telling us that the bus, the Magical Express, would depart at 7:45 and that we needed to check out of the hotel and into our airline prior to that. Sad realization! But in that moment, we knew we had one more big day of fun and wanted to make the most of it. Yep, Dex wanted to bring Baby Sully. Uncle Bob, Aunt Michelle, and Spencer on Main Street. First ride of the day – Tomorrowland Speedway. The boys loved it! Inside Be Our Guest for lunch. It was beautiful! Wanted to ride the Barnstormer with Grammy. We packed a lot of rides into the day on Friday and I guess I did not pull my camera out as often as I did the other days. We were rushing around much of the time and trying to squeeze it all in. Sun setting on the Magic Kingdom. Friday night we left the Magic Kingdom with sad faces and tired bodies and headed back to the hotel. Although we had our strollers, my back was aching so bad by the end of the day Friday. The boys asked to be held/carried any time they were not in their strollers (i.e., waiting in line – which we did quite a lot). By the time we were packed up, I literally could not sit up straight. I took no pictures of the madness that was our room while rushing around to get things tidied up and stowed away. The boys were very tired and ready to rest. We hit the sack and set another early alarm for our departure on the Magical Express. Day 9 – Saturday, October 12, 2013. The Magical Express is a really nice service — we got on the bus with our carry ons and didn’t have to deal with our bags until we arrived home in Indiana. We just had to get through security at MCO and then find a comfy spot to relax at our gate while waiting for our 10:45 flight. See? Remember? I told you we’d get that pic eventually. Clearly not happy to leave. Or maybe just mad that his Capri Sun was all gone. I don’t remember. I just noticed Dexter in this photo — not really sure what he was doing here. We were at the gate for quite a while because of course Disney transportation does not want to be responsible for anyone missing a flight. We were at the gate at least an hour and a half before departure. I remember thinking how good the boys were being at the airport and feeling a peaceful calm – proud of my kids. Not just at the airport, but over the course of the whole week. Sleep deprived and everything, overall they were still very good. We came, we conquered, we left with a mind full of memories. Many of which will at least last a lifetime for Ryan and I. The boys were asleep before the plane took off and I had to wake Dexter (once again) when we landed. Theo too. While we were waiting at the baggage carousel for our suitcases, a grandmother-aged woman that I recognized from our gate at the Orlando airport approached us and told us in so many words that our boys were so very well-behaved and adorable to boot. My first instinct was to say “well, you didn’t see … ” but I accepted that fine compliment and nodded my head, “we think so too. Thank you so much for saying that.” One of the most heart-warming memories from the trip took place 20 miles from home. As soon as we got home, Theo went right to work introducing the new Legos to his old ones. They played with the cats. Hugged their stuffed animals. Watched a movie. Colored some pictures. Back to normal as if nothing ever happened. Now, when we talk about our vacation to Disney World, Theo talks about it as if it was just a 20 minute ride down the road. I suppose to him, it was (especially considering that he slept a good portion or all of the flights). It’s so hard to explain to him that getting back there is much more than a quick flight. Tonight on the way home from the sitter, we were admiring spooky Halloween decorations along the road. Theo brought up the Haunted Mansion ride. Theo wanted to know if next time, he could ride with Dexter and a grown up (because kids can’t ride rides by themselves or they might get lost). I said he sure could and of course Dexter pipes up “it’s not scary! I want to ride it again with Theo!” We have conversations like this on a daily basis now. I have a feeling Theo will remember at least bits and pieces and Dexter’s memory might be more the result of their conversations. That’s it, folks. It’s over. All the concerns that I had before the trip practically ended up being a non-issue. We had a wonderful time and I worried that I’d (at some point) regret making the decision to take this particular vacation while the boys were so young. I have not one regret. It was magical for all of us. It lived up to my expectations and then some. And some more. So much that I can’t stop thinking about the next time we can all get away together. Maybe not to Disney World, but I know that I want family vacations to be a priority in our lives.